My mystery novel is out! Feel free to share the news, tweet it, blog it, or whatever you’d like to do on social media. The more publicity it gets the better! Now, here’s the unpleasant part. For the first time ever I decided to enroll one of my books in Kindle Unlimited. What does that mean to you? Well, it means that it’s only going to be available to Kindle owners. This was a decision I wrestled with for quite some time. I’ve always been a proponent of releasing a novel “wide”, meaning available in all formats. However, I have been curious to see how it’d do in KU, so I decided to give this brand new series a try. If I don’t see any difference whatsoever then I’ll pull it from KU and release it wide. The time frame involved is 90 days, so I have to give Amazon at least 3 months of exclusivity. For those of you that were beta readers, can I ask a favor? Could I possibly get you to head over to Amazon and leave the book a review? Early reviews are always a helpful tool to indie authors. Again, thanks for helping me out! Apr 7, 2016 - General, Indie Authors, News, Private, Updates Enter your password to view comments. This is the first of two beta-reader signups that I’m going to be holding. If you’re here to volunteer your help, I truly appreciate it. Just be certain you understand that you’re not signing up for both books, just one. This is the beta reader signup for Case of the One-Eyed Tiger (Corgi Case Files #1). This novel isn’t as long as my epic fantasy stories, and that’s because it isn’t (gasp!) a fantasy. Yep, this is my first ever attempt at a mystery novel, written in first person narrative. So go easy on me. Not concerned with giving harsh advice where necessary. Trust me, I can take it. Be willing to fill out an Excel form listing what page # you found the problem, what type of problem it was, and why (only if you want to) you feel there’s a problem. Still interested in signing up? Leave a comment below so that I know you were here and have read the What’s Expected section. Thanks in advance! I look forward to working with you! Stay tuned. As soon as PoR (Tales of Lentari #6) is ready for beta readers, I’ll post a similar announcement! It’s been a while since I’ve posted anything. My bad. I can’t even begin to tell you how busy I’ve been. I know. Excuses, excuses. However, many of my computer tech clients have returned for warmer climes so I’ve been forced to wear my tech hat longer than I normally would. So, let’s recap. Convincing my father to trade in his flip phone for iPhone 6, setting up the phone remotely, and then training said family member on said phone. I will also formally announce that I’m actively seeking Beta Readers. But, before you get excited, this isn’t for PoR (ToL6). I’ll make a separate announcement for that. I’m actually referring to my NaNoWriMo project with will be finished shortly. 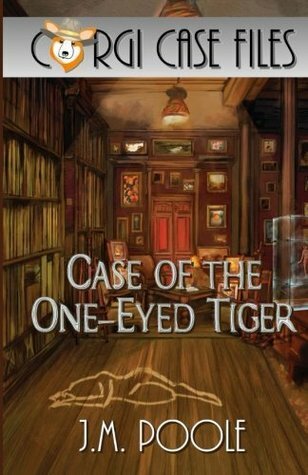 Corgi Case Files – Case of the One-Eyed Tiger. My first ever attempt at a mystery novel. I can only hope you guys enjoy it. So, with that being said, if any of you would be interested in giving me a hand, please leave a comment below. Remember, I’m looking for people with stronger English skills than me. Spotting typos, grammatical issues, continuity problems, and so on. Think you’d like to give it a try? Let me know! Thanks, guys! I hope everyone is having a great holiday season so far! Nov 11, 2015 - Indie Authors, News, Private, Updates Enter your password to view comments. Any wine connoisseurs out there? This request goes out to all wine lovers out there. A book I’m presently working on features a character living in a small community where there are several local wineries. What are your favorite wines? Are they from local wineries or are they from a well known brand? I was looking for some ideas for some local wines for the town. Let me know your thoughts! I’m dropping the security down so that anyone can post. Thanks in advance! Looking for that next great book! Are you an aspiring author? Have you already published a book or two and are looking for more reviews? If your title has 10 reviews or less, is either sci-fi, fantasy, mystery, or thriller, and doesn’t feature vampires or zombies, feel free to drop me a line. I’m always looking for that new great read. Instead of telling you what books I like I’ll instead tell you which I don’t care for. I’m not a fan of horror. Or erotica. I don’t like zombies or vampires, but I will say that I’ve read several stories that had a little of each as supporting characters and I was okay with it. The worst that could happen is that I’d just tell you that I wasn’t interested. Otherwise if you’re looking for reviews, leave a comment with your book’s blurb and I’ll go take a look.